What do you want for your community? Our latest #ClassyClient works to bring all of this to two of the biggest slums in Africa: Kibera and Methare. Shining Hope For Communities (SHOFCO) provides education, healthcare, and industry to these unrecognized neighborhoods on the outskirts of Nairobi, Kenya. SHOFCO addresses a variety of problems by beginning with gender inequality, specifically the education of girls. Last week, we spoke with Lexi Hensley, SHOFCO’s Director of Community and Outreach, to learn more about the nonprofit’s ambitious and inspiring work. SHOFCO’s story begins with the story of its founder, Kennedy Odede. 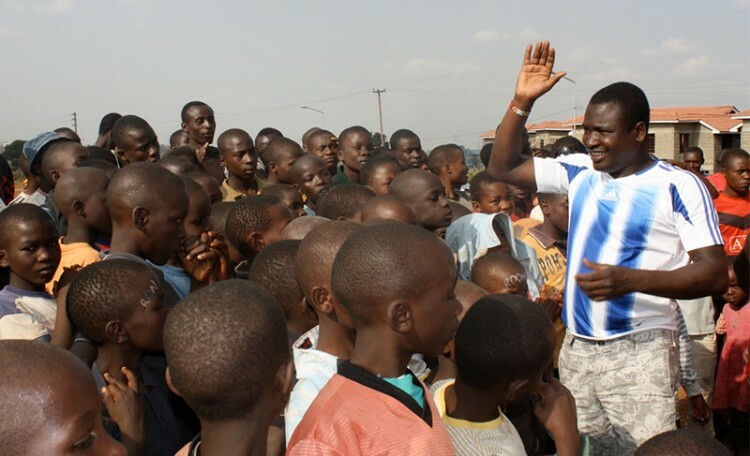 He grew up in Kibera, witnessing violence, gender inequality, and widespread poverty. Kibera, with approximately 1 million residents, is the largest of several informal settlements on the outskirts of Nairobi. The Kenyan government considers the residents as squatters and denies them basic services like education, sanitation, and healthcare. In 2004, Kennedy began organizing community programs in Kibera with nothing but hope and ambition. In 2007, he met Jessica Posner, an American studying abroad, and together they devised the model that drives SHOFCO today. They founded the organization and opened their first free primary school in 2009. In the past five years, the organization has grown significantly and become a powerful force in Kibera and neighboring slums. Although Shining Hope For Communities provides resources and services for the entire community, their work begins with free schools for girls. Kennedy was inspired by his mother and realized that the suppression of girls’ and women’s education was a severe hindrance to the community as a whole. Girls in Kibera are more likely to be out of school than boys (43% versus 29%) and are less likely to have begun school on time (49% of girls versus 61% of boys age 6 or below). And the girls have flourished, acing government exams and winning the National Elocution & Poetry contest four years in a row. The school is the center of many other programs to support and enrich Kibera. Just next door is the Johanna Justin-Jinich Community Clinic, where doctors and nurses treat 170 patients each day. Their services, including preventive care, are free of charge to the entire community. Residents can now be screened for cervical cancer, receive pre- and postpartum care, and find help for victims of gender-based violence. In addition, the organization supplies mobile clinics that now bring care to those unable to travel to the main clinic. Over 50% of hospital visits in Kenya stem from water, sanitation and hygiene-related illnesses. To address the prevalent water and sanitation issues, SHOFCO has a 100,000 liter water tower, which is the largest access point for water in Kibera. They have also introduced community toilets and hygiene and sanitation education. Local community members serve on WASH (Water, Sanitation, and Hygiene) Committees to plan and implement life-saving initiatives. The SHOFCO Community Center, opened in 2010, is a gathering place for residents of all walks of life. It houses a library and computer center with classes in adult literacy and business, organizes youth soccer teams, and hosts group savings and loans programs. One of the organization’s greatest strengths is that it is run by and for the people it serves. The wide-reaching programs employ 160 locals, making SHOFCO the biggest employer in Kibera. In a slum disregarded by government services, SHOFCO is helping residents work, learn, and thrive. One of the youth programs at the SHOFCO Community Center is The Ghetto Mirror, a newspaper written and edited by young reporters from 12 of the informal settlements surrounding Nairobi. “The Ghetto Mirror was actually the initial impetus behind Mathare leaders requesting SHOFCO to build our model in that community two years ago,” explained Lexi Hensley in a follow-up email to us. 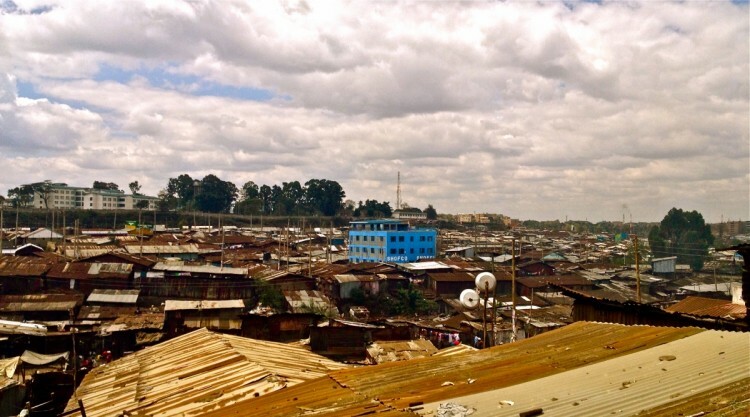 Mathare is the second largest of Nairobi’s slums and the site of SHOFCO’s Mathare School for Girls. The newly built school holds twenty classrooms, a library, and a computer lab for its inaugural class of 60 pre-k and kindergarteners. SHOFCO is excited to welcome more students in 2015 and to expand their programs in Mathare. They plan, however, to keep grassroots involvement and leadership at the center of their mission. It is easy to take the trappings of organized, governed communities for granted, but it’s far more difficult to build and maintain them. Shining Hope For Communities has developed a unique and inclusive model for serving and mobilizing neighbors. They offer help to all, but ground their value in developing the underutilized talents of girls. In this way, they make girls and education the center of today’s solutions and are training young women to raise up their community in the future.